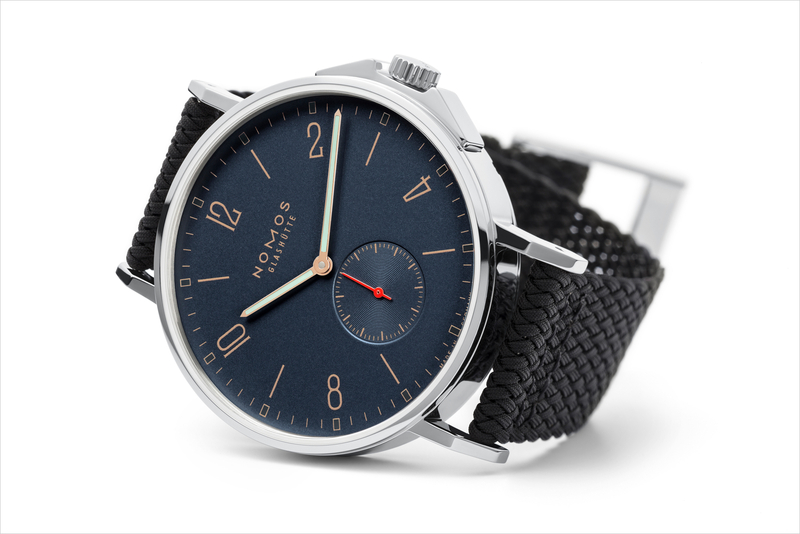 NOMOS Glashütte followed up their first sports watch, the Ahoi, which was was introduced last year, with a new version this year at Baselworld. The Ahoi Atlantik comes in the same 40 mm by 10.64 mm stainless steel case, with a new dark colored dial. The Ahoi Atlantik has a beautiful dark (Atlantic) blue lacquered dial with gold colored Arabic numerals, a gold colored minute track and black luminous hour indexes. The hour and minute hands are rose gold plated with mint green luminous material. The seconds hand is lacquered in red and runs continuously in the subdial at 6 o’clock. 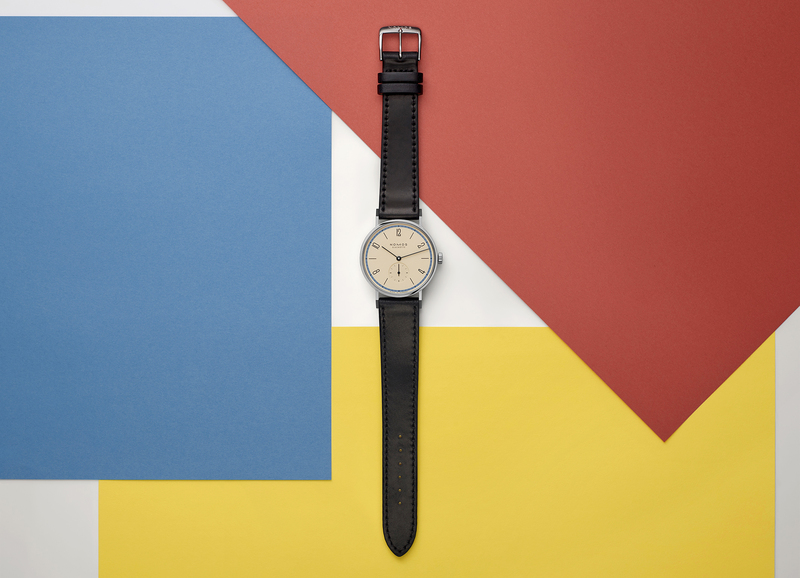 The Ahoi case is fully polished and features a curved sapphire glass with anti-reflective treatment on the front, and a reinforced sapphire caseback that is secured by 6 screws. The crown screws down and is protected by steel crown guards. 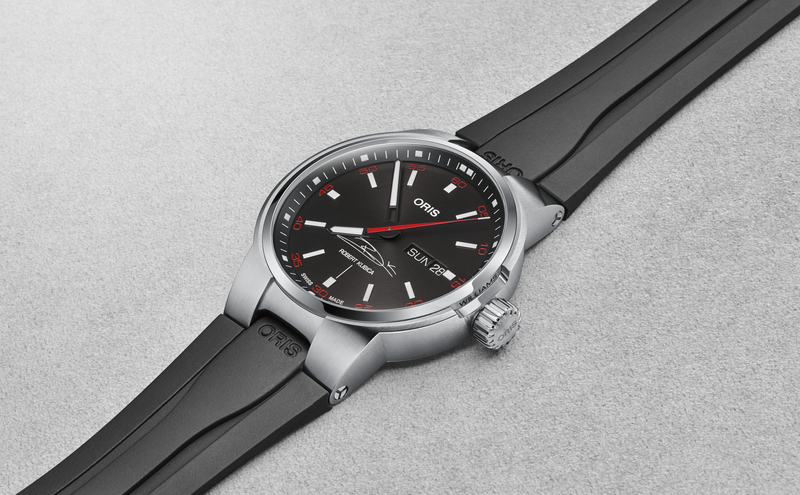 This watch does not meet all of the ISO 6425 dive standards, but it is perfectly suitable for swimming, boating and other aquatic activities, and is water-resistant to 200 meters. 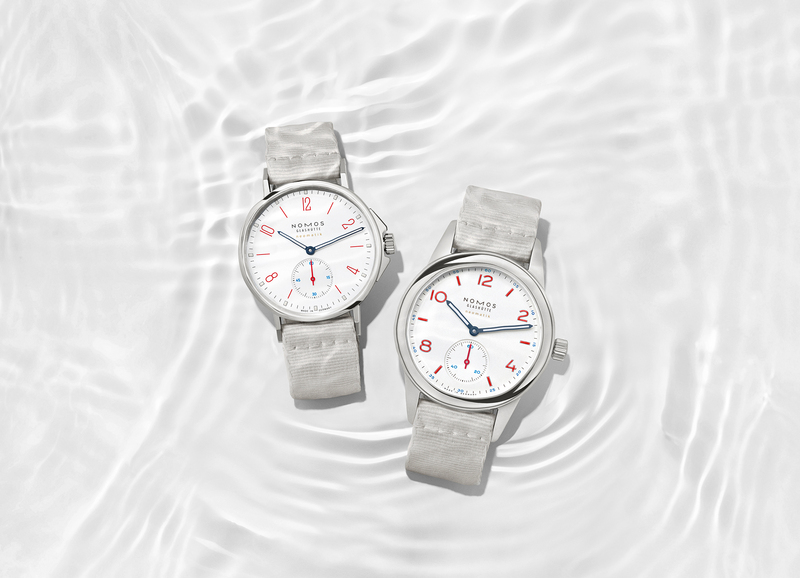 The Ahoi Atlantik comes in two variations: one with no-date function (Ref. 552) and the other with a large date at 6 o’clock (Ref. 553). The former is powered by the Epsilon caliber and the latter by the Zeta caliber (the reason for two different calibers is because of the date function) — both are in-house made automatic movements. The Atlantik comes on a black quick-drying textile strap with black winged clasp. The price is $4,060 with no-date and $4,660 with date. Expected availability is July 2014.